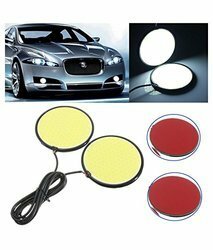 Prominent & Leading Manufacturer from Mumbai, we offer universal crystal drl for headlights set of 2pcs and universal flat fog light. 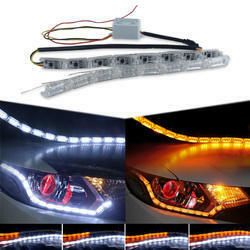 Led drl fit in headlight as it can be molded into any shape as per headlight of cars. Keeps you safe on the road in hazy road conditions like dense fog or in heavy rains. LED DRL with indicator which will turn on with the indicator light, Best fit in headlight as it can be molded into any shape as per headlight of cars.